Treating dry eye doesn’t have to be complicated or expensive. We tested and developed our Power Visor and Disposable hydrothermal masks to be highly effective for initial in-office dry eye treatment as well as on-going home maintenance. This starter kit includes 10 Power Visors and 10 (30-pack’s) Hydrothermal Disposable Masks. Treating dry eye doesn’t have to be complicated or expensive. 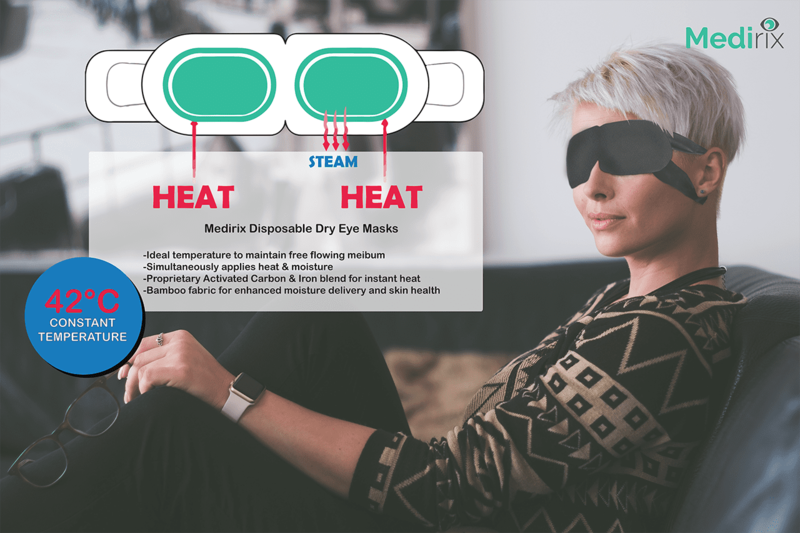 We tested and developed our Power Visor and Disposable Hydrothermal masks to be highly effective for initial in-office dry eye treatment as well as on-going home maintenance. This kit includes 10 Power Visors and 10 (30-pack’s) Hydrothermal Disposable Masks. -Internal air bladders inflate and deflate to around the orbital region to facilitate gland expression and apply 6 point massaging to reduce eye fatigue, swelling, and discomfort. For mild to moderate MGD, and adjunctive therapy for severe MGD patients. The recommended protocol is to use the Disposable Hydrothermal mask simultaneously with the Power Visor to act as a sanitary barrier as well as provide hydration during an in-office treatment. The patient takes home a maintenance kit of one box (30 Disposable Hydrothermal masks) and one Power Visor to be used simultaneously every other day, or as recommended by the doctor. Disposable Hydrothermal masks are ideal during travelling and sleeping. Power Visors cannot be taken on planes due to the internal battery.